British documentary, and in particular the documentary movement of the 1930s and 40s, spawned a number of talented and prolific female directors. 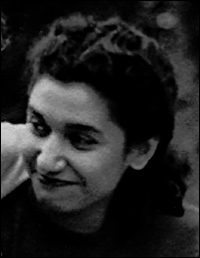 But by the time Indian-born (and Jewish) Sarah Erulkar joined the ranks in 1947, documentary directing was, like many postwar professions, rapidly becoming the preserve of men. While many women directors retired prematurely (often following marriage), Erulkar managed to negotiate the myriad obstructions she encountered across her 40-year career and build a legacy of over 80 films. Short-circuiting the usual gradual ascent from technician or scriptwriter to director, her rise was meteoric. Arriving at the Shell Film Unit , she quickly proved her worth scripting and editing the short film Aircraft Today and Tomorrow (1946), before graduating to director on her second assignment, the similarly-themed Flight for Tomorrow (1947). A trip to India with her father, to take part in the Indian independence celebrations, gave rise to her second directing role for Shell , Lord Siva Danced (1946). The film, starring celebrated dancer Ram Gopal, became something of a cult classic in India. But if being a woman and Indian was no barrier to advancement at Shell , being a woman and married definitely was. In 1952, having directed two more films for Shell , Erulkar found herself newly unemployed as a result of marrying her colleague, Peter de Normanville , then employed in the capacity of assistant director. Shell overseer Arthur Elton advised Erulkar that, as a married woman, her role should now be "to put out Peter's slippers". The fact that it was her new husband who had the more junior role, and was earning eight pounds per week to Erulkar's 18, was apparently irrelevant in the face of ingrained convention. Fortunately, though, her husband was entirely supportive of her career ambitions, and after the birth of their children they both combined parenthood with their respective filmmaking. As a freelancer, she navigated her way through most of the major players in postwar documentary. Snapped up by World Wide Pictures on leaving Shell to direct District Nurse (1952), charting a day in the life of two nurses in the rural Southeast of England, she then joined Donald Alexander and his colleagues at the National Coal Board Film Unit , where she honed her cutting skills. During this time she also directed films for Leon Clore 's two companies, Graphic Films and Basic Films . After leaving the NCB she worked almost exclusively as a director until she retired in the early 1980s, running the gauntlet of commissioning bodies, including the British Productivity Council , the Central Office of Information , the Gas Council and the General Post Office . Adaptability was key, and her work over the years extended across the spectrum of non-fiction genres, from classic documentary, travelogue and 'trigger' films to children's features, medical training films and public information films, as well as a swathe of promotional films for various commercial bodies. Erulkar's instinctive artistry, combined with a passion for life and people, brought universal appeal to specialist subject matter, and meant that she was always in demand. Her work brought her a plethora of awards, including two BAFTAs , for Picture to Post 1(969) and the prescient environmentally-themed The Air my Enemy (1971). Unlike many of her contemporaries, who were happy to switch over to more lucrative television or feature films, she never wavered in her passion for documentary and relished the sheer diversity and quantity of projects that came her way, while retaining a touching humility: "I was always so grateful when anyone employed me," she has said, "I always felt I must be such an oddity that they had to sell me to the sponsor as well."